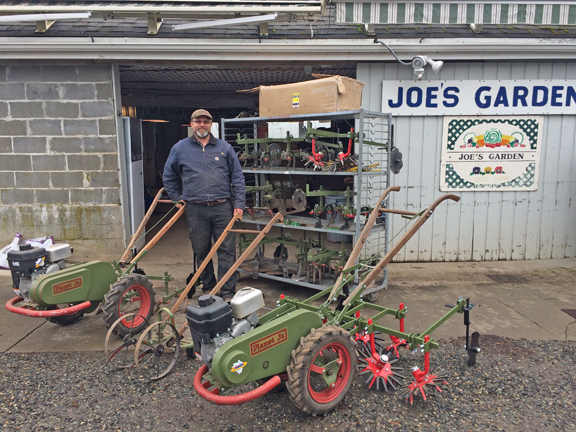 Jason Weston, co-owner of Joe’s Gardens, is inspiring farmers and gardeners across the country to scour barns and collectors’ shelves for antique Planet Jr. farm equipment. With Weston sharing online and in-person tips to rebuild and operate the neglected — or simply collected — machinery, Planet Jr. walk-behind tractors are back in fields, turning soil and helping converts save time, increase production and reclaim decades-old farming know-how. 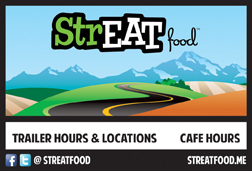 Beginning in the 1870s and continuing through the 1960s, S.L. Allen & Company workers built Planet Jr. tractors and attachments as well as seeding, fertilizing and cultivating equipment for small farms and gardeners at a factory in Philadelphia. Weston admires Planet Jr.’s quality and craftsmanship, but while he’s passionate about the tractors now, it wasn’t love at first sight. For farms the size of Joe’s, Planet Jr. and similar walk-behind tractors are the perfect bridge between back-breaking hand weeding and a large, gas-powered machine, which would be overkill for smaller rows. A skilled mechanic, Weston began tinkering with Joe’s Garden’s Planet Jr. tractor and soon realized how to maximize its use. With the encouragement of his dad, he ignored purist instincts and rebuilt the stubborn engine. With that annoyance solved, he was hooked. 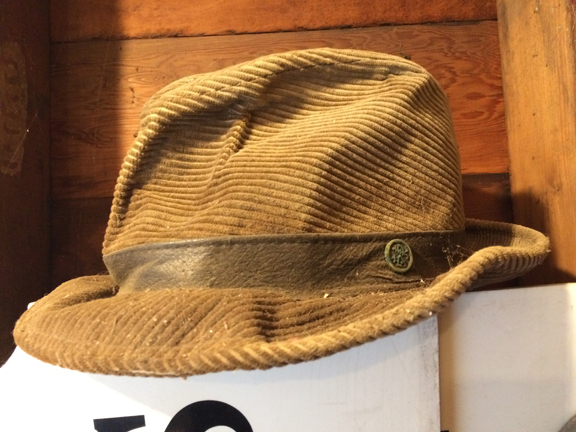 Eager to share his newfound appreciation for the classic small farm equipment, Weston signed up for his first social media accounts and found Facebook groups devoted to Planet Jr. and similar wheel hoes. He began posting how he was rebuilding and using the farm equipment. 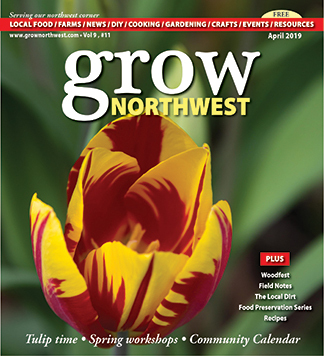 Word spread and Weston’s Planet Jr. renovations quickly became an old-fashioned solution for today’s small farmers. With the help of Facebook and eBay, Weston and others are discovering Planet Jr. equipment in the Midwest and East Coast where truck farm culture was firmly established during S.L. Allen’s hey-day. This network moves the vintage parts and equipment around the country. According to Weston, a total of four Planet Jr. tractors were working fields in the U.S. in 2016. This year, a few hundred are in action across 40 to 50 farms. 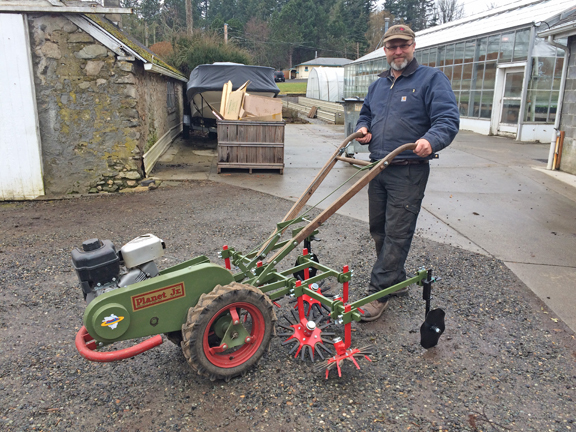 His own collection has expanded beyond that original reluctant tractor to a small fleet of rebuilt Planet Jr. tractors and a rolling rack of attachments built by Weston for various row set-ups. Weston walks 20 miles a day in the summer working the 5 acres at Joe’s. 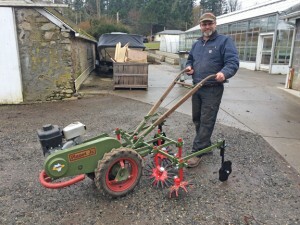 A tractor with a single weeding attachment can cultivate 250 row feet in a minute, saving him time and freeing him to help in other parts of the farm. With his new hand-crafted three-row finger weeder attached to his Planet Jr. tractor, he’ll cover 750 row feet per minute. He is, understandably, just a bit giddy at the thought of it. In addition to time, it will save Joe’s Gardens roughly $500 a week in labor costs. 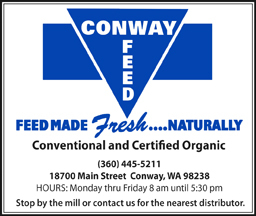 Weston said using equipment perfectly tuned for small farms also improves crop quality. 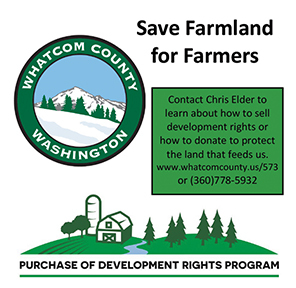 While Weston has located and sold tractors to local farmers in the past, he is now focused on sharing his know-how. 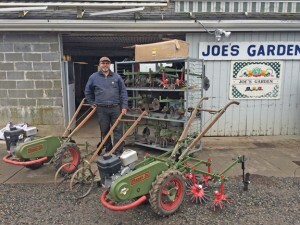 In addition to exchanging ideas with Facebook groups, he posts videos of the equipment in use on his You Tube channel, The Market Garden Farmer, and he welcomes farmers to try out his Planet Jr. equipment by working the ground at Joe’s. By researching how to use the equipment, Weston is also reclaiming centuries-old farming know-how. 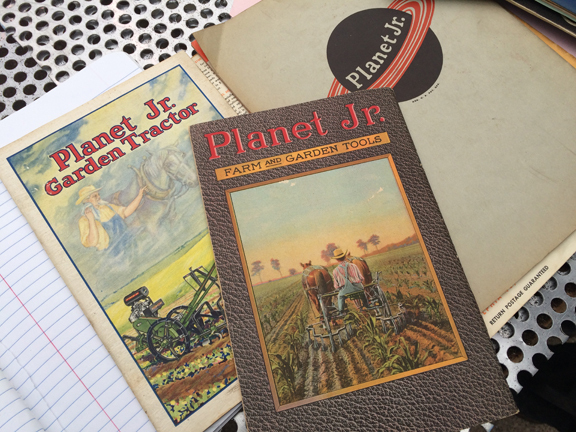 His collection of vintage Planet Jr. catalogs feature descriptions of forgotten equipment and farming techniques. 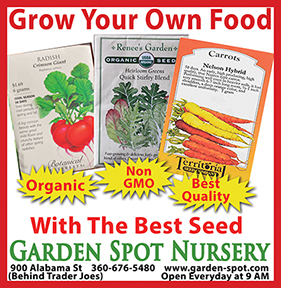 Joe’s Gardens, located at 3110 Taylor Avenue in Bellingham, opens the first week in March. Check their website for hours at joesgarden.com. Way to go Jason! Good encouragement, Carl! I love it!! Carl Karol Jason such solid and fantastic working people, really good people. This article is very well written! True to how it is there. Thank you. My husband and I have been farming part-time for 6 years, in North Royalton, Ohio, We have a old Horse Tiller. I saw other farm using this Planet Jr. and lead me to your website. Where can I purchase on of this tractor?